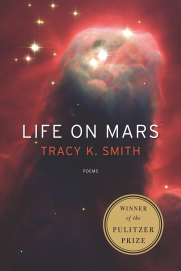 Tracy K. Smith’s poetry collection Life on Mars is excellent, combining bursts of science-fiction weirdness with totally non-speculative emotional clarity. If you chance upon a copy, you might try flipping to her poems “The Museum of Obselencence,” or “Sci-Fi,” or “My God, It’s Full of Stars,” particularly the fifth strophe of that last one; those are my favorites, although you could also do pretty well by opening her book at random and reading whatever you find. Unfortunately, I can’t find any pull quotes that do justice to my favorites from her collection. So instead I’m stuck writing an essay about a section of the titular poem “Life on Mars.” And I use the word “stuck” because my lack of experience with poetry will be quite clear here: I picked some lines where Smith reworks quotations from Rush Limbaugh and Senator Norm Coleman about the abuses at Abu Ghraib and, with some killer line breaks, really shifts the meaning. What she’s doing here is totally unsubtle — if you’re a poetry person, let me reassure you that she employs a much lighter touch in her other pieces. But, right: I am not a poetry person, so I enjoyed her lack of subtlety here. To me, this feels almost like going to a martial arts demonstration and seeing someone make a slow, exaggerated motion. If you’re in the audience you finally get to nod and muse, “Ahhh, so that is how they do it.” Sure, it’s not real evidence of someone’s prowess, but I think it’s a kindness to sometimes tone down a performance to the point where the untrained eye can appreciate what’s being done. Here, she plays with a readers eyes. The line break after “not” pushes you to isolate the phrase “what you’d expect from Americans” from Coleman’s words. The accusation becomes perfectly clear: this is what Smith would expect from Americans. There is a lot of debate about whether the United States is a Christian nation, or was meant to be a Christian nation, or the like. If you’ve ever scrolled through search hits for the topic, I’m sure you’ve already seen numerous screeds written from one side or the other. To me, it seems compelling that in the twentieth and twenty-first centuries, a plurality of Americans believe their country to be a Christian nation — and the same was probably true earlier, except that fewer people were bothering to ask. Which I obviously don’t think implies that this country should start drafting laws based on the Bible (although: start?). I just think it’s important to acknowledge the prevalence of Christianity in American society when trying to ascertain what Americans would or would not do. Unfortunately, one reason why I think it’s not so surprising that Americans would torture their prisoners is that the Bible takes a pro-torture stance. 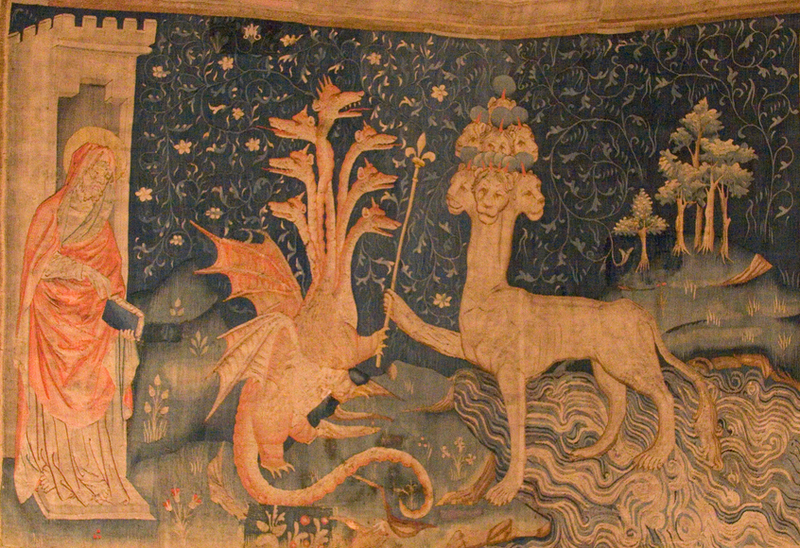 Of course, not every Christian sect includes the Book of Revelation in its scripture, but many do. And the smoke of their torment ascendeth up for ever and ever: and they have no rest day or night, who worship the beast and his image, and whosoever receiveth the mark of his name. But then we reach the next fancy line break that Smith uses, the one right after the word “people.” Here is Smith’s acknowledgement that it isn’t just Americans who are inclined toward evil (not that it’s fair to hold the abuses of a few against the inhabitants of an entire country — although we did bomb the inhabitants of two whole countries after the horrific actions of a few). Her poem is “only talking about people,” as a reader is forced to consider before finishing the sentence. As in, it’s all people who are wired to seek retribution after they or their loved ones or their country are harmed. Which I thought was a clever trick for Smith to pull off, especially since she’s doing this by repurposing the words of others. She’s even better in several of her other poems, like all the ones she wrote from scratch. If you’ve got time, you should check out her book.